Fremont Auto Center is the premier Fremont Infiniti service and repair shop. Our highly trained technicians can provide a full range of Infiniti services – from manufacturer recommended maintenance, to complex diagnostics, and both minor and major repairs. Our friendly staff will get your car fixed and back on the road - usually the same day. When you service your Infiniti with Fremont Auto Center, it fulfills the requirements to keep the manufacturer warranty in force. 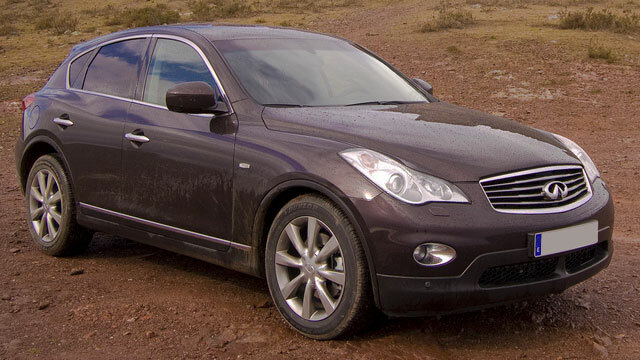 Like any luxury vehicle, Infiniti requires regular maintenance by skilled technicians. We recommend following factory scheduled services. Regular maintenance not only keeps your car in top shape, but also gives us a chance to perform a complimentary inspection, which may catch developing problems. Fremont Auto center is a full service Infiniti repair shop, so in addition to regular maintenance, we can perform advanced diagnostics and repairs – here is just a sample of what we routinely do: electrical system diagnostics and repairs, check engine light diagnostics, brake repair, a/c recharge, radiator leak repair, shocks and struts, transmission repair, battery replacement, transmission flush, as well as major engine repairs. Fremont Auto Center services all Infiniti models, including the M class, Q45, Q50, Q60, QX50, QX60. When you bring your Infiniti to us, we provide you with a detailed report of issues we find, and prioritize needed repairs and services. Conditions that do not yet warrant repairs are monitored for you. We welcome your Infiniti - whether it is facing major repairs, or it experiences “check engine” light, or simply needs routine brake pads replacement and maintenance, we will provide you with superior Infiniti service, and are always happy to answer any questions you may have – we are here to help. Schedule an appointment online, or simply call us.